La Ville Hotel & Suites is a boutique hotel located in the heart of City Walk, Dubai’s new urban living destination. Part of the Autograph Collection, this distinctive low-rise property offers stylish serviced apartments, ideal for long-term stay whether it be a month or a year. A quiet retreat in the city, La Ville provides the ultimate home away from home by creating an integrated lifestyle experience. It is surrounded by a unique mix of amenities, including entertainment for the whole family in the form of The Green Planet, Mattel Play! Town and Roxy Cinemas, over 50 different dining options, high-end retail amenities including three department stores, various leisure and service providers, as well as healthcare offerings. The fully furnished 53 one-bedroom and 15 two-bedroom residences are modern and artistically appointed, with light, airy décor. 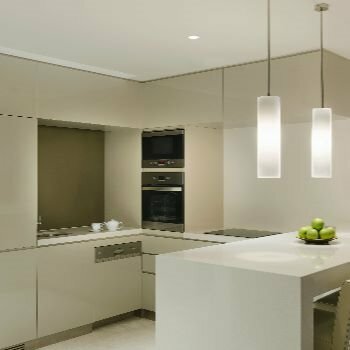 The fully equipped kitchens allow freedom at mealtimes, and much of the accommodation enjoys scenic views of the Dubai skyline and Burj Khalifa. Resident benefits include Concierge Service, 24-hour In-Room Dining, Onsite Parking, Housekeeping Service, Health Club Access including Relaxation Suites, Fitness Centre and Infinity Rooftop Pool, as well as special discounts on Laundry, Spa, Restaurants and Bars.